Richard (Rick) Dennis Kemenyas of Fairfield, PA, passed from this life peacefully on Monday, February 4, 2019, as a result of complications following a courageous 3 year battle with Myelodysplastic Syndrome (MDS). Rick was the son of the late Leonard D. and Betty Jean (Tumey) Kemenyas. Rick is survived by his loving and caring wife Pamela L. (Mumma) Kemenyas. Rick was born on March 14, 1955 in Tacoma, WA. He graduated from Severna Park High School and the University of Maryland with a degree in Instructional Systems. Rick began his Federal career with the U. S. Fire Administration (USFA) in Washington, DC, and relocated with them to Emmitsburg, MD. He retired in 2010 as the Manager of the Media Production Center, with over 30 years of proud civil service. In addition to his wife, Rick is survived by his Uncle Dennis Kemenyas, Aunts Peggy Bedwell and Vicki Fryoux (Raymond), Mother-in-Law Betty L. Mumma, extended family Uncle Chris Harris, several cousins, and Godsons Matthew and Shannon Dee and Bradley Hartdagen. He will be remembered by many supportive family members, friends and extended family members, not named here, but they know who they are. He will be sadly missed by everyone who was lucky enough to call him family or friend. In addition to his parents, Rick was predeceased by Paternal Grandparents Alex and Anne Kemenyas, Maternal Grandparents Oren and Marge Tumey, and Maternal Grandmother Ruby Tumey, Uncle John Bedwell, Cousin Jeffrey Kemenyas and Father-in-Law Kenneth Mumma. Rick had many interests and hobbies. His most cherished hobby was as a classic car enthusiast; owning a few cars over the years. With his creative mind, he was always in awe of their fine lines, artistic style and the simplicity of working on them. He enjoyed going to car shows, winning a few trophies, and talking with other owners. He was a fan of Indy car races, and had the opportunity to drive one to celebrate his 50th birthday. He was an avid Washington Nationals baseball fan and very much enjoyed attending spring training and baseball games. 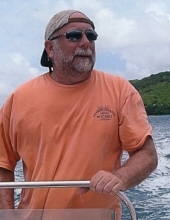 Rick was passionate about saving the reefs in the Caribbean. He so loved snorkeling in the reefs and enjoying the beautiful underwater life and capturing it on film. It's where he felt most at peace. In honor of Rick's request, there will be no viewing or public service. His wish was to have those who knew and loved him to take a moment, remember him, and smile. The internment of Rick's cremains will be private and take place in his beloved Caribbean Sea. There will be a private gathering to celebrate Rick's life at a later time. Pam wishes to express her thanks and sincere appreciation to Dr. Rybka and the many staff who supported Rick at the Hershey Medical Center Cancer Institute. Their compassion and wonderful care goes beyond words. In lieu of flowers, memorial donations may be made to the American Cancer Society, Hope Lodge,125 Lucy Ave, Hummelstown, Pa 17036. Rick's family is eternally grateful for all the unknown individuals who selflessly donated blood and platelets, which extended Rick's time with them. Please consider donating blood so others can enjoy additional time with their loved ones, just as Rick was able to do. The Monahan Funeral Home, Gettysburg, PA is assisting the family with the arrangements. Online obituary and condolences available at monahanfuneralhome.com. "Email Address" would like to share the life celebration of Richard D. Kemenyas. Click on the "link" to go to share a favorite memory or leave a condolence message for the family.